Always focusing on each patient as an individual who has unique needs. 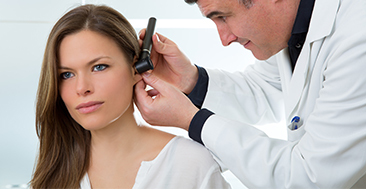 We provide a comprehensive list of auditory care services to improve your quality of life. We offer the best auditory products provided by leading manufacturers in the hearing care industry at reasonable prices which allow us to remain in business and be here for you tomorrow. Our practices are family owned and managed and are independent audiology clinics in the Bradenton and Sarasota areas. We are committed to aiding both the permanent and seasonal residents of our local community. 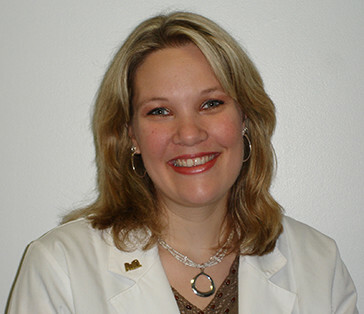 Our practice has been doing so since 1981, and our residents have come to trust us with their audiology loss needs. Our commitment and confidence are such that we offer hearing aids and cochlear implants from the profession’s leading manufacturers at competitive rates with complete patient satisfaction guaranteed and a 30 day no hassle return period. For patients with loss who find hearing aids no longer work for them, we offer Cochlear Implant (CI) services from all three manufacturers. We pride ourselves upon our service and dedication to aiding our patients, whether they have a mild case or are profoundly deaf. Our goal is to provide the best possible testing and care to clients in Sarasota, Bradenton, and beyond. We offer a wide variety of cochlear implant and other auditory devices to suit all lifestyles and budgets from a selection of the best manufacturers with service available nationwide. Diagnostic Audiology test will detail the extent, type, and specifics of your particular case of auditory perception loss. After testing, we can determine if a prescription is needed for a cochlear implant or another auditory device. We offer a great selection of hearing aid and cochlear implant products and accessories to suit your auditory needs. Our audiologists provide earplugs and custom ear molds to protect the auditory systems of swimmers, hunters, musicians and more. Our goal is to prevent auditory perception loss. Our audiologists will program your auditory aid and cochlear implant devices, based on a prescription, to meet your individual needs and ensure your aid is thoroughly tested upon placement. Research and testing have shown how improved auditory perception is associated with an enhanced quality of life, positively impacting your personal, social, professional and physical well-being. Research by John Hopkins and the National Institute of Aging’s findings add to a growing list of health consequences associated with hearing loss, including increased risk of dementia, falls, hospitalizations and diminished physical and mental health overall. Life is full of opportunities! A hearing loss does not have to force you into silence and isolation. Ask our team about our cochlear implant and auditory device solutions for auditory perception loss!